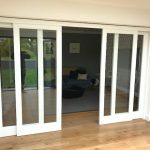 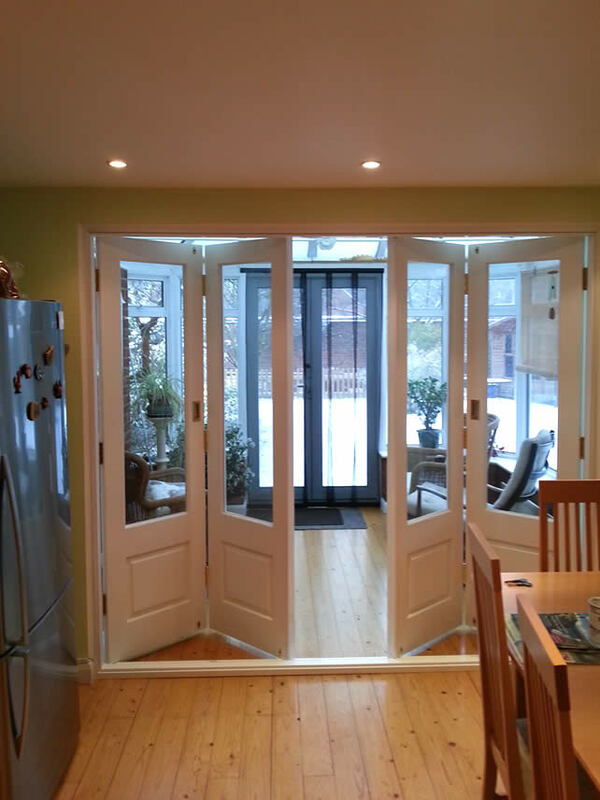 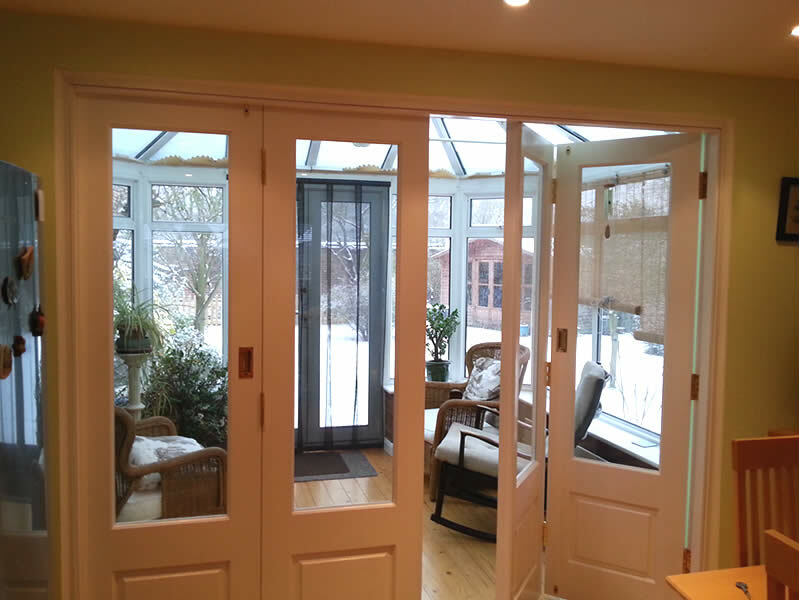 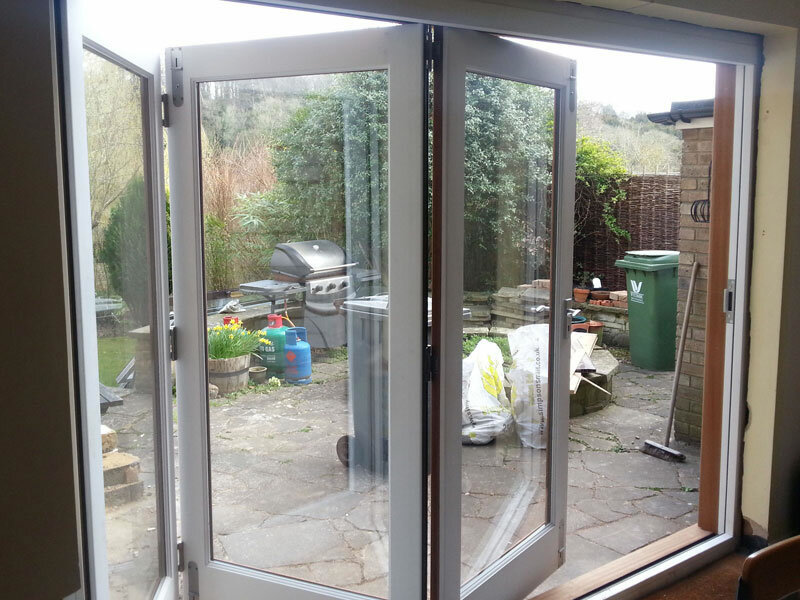 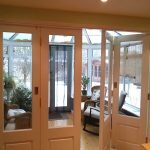 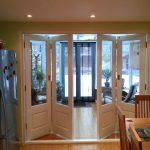 Bi-fold doors make a great addition to almost all living spaces, and provide a great alternative to traditional French or patio doors. 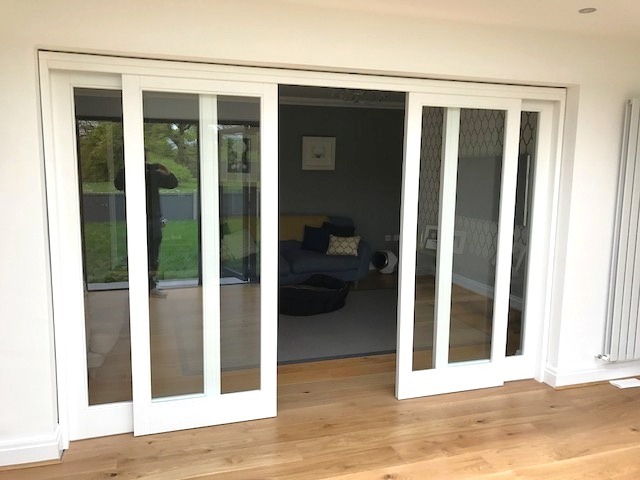 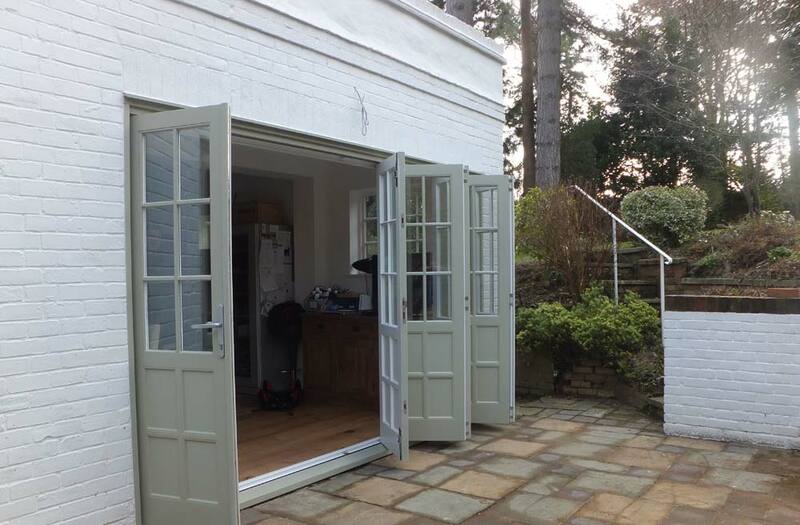 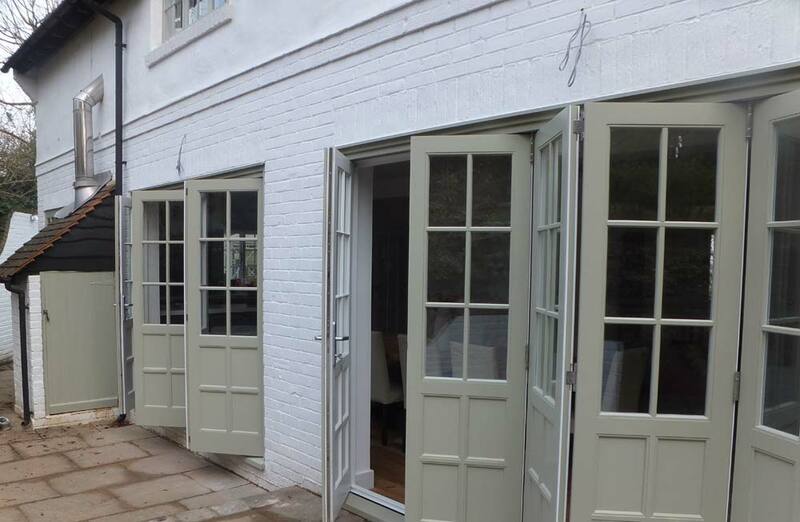 At Kirkman Joinery our timber bi-fold doors are able to offer classic aesthetics with the benefits of modern, open plan living, seamlessly connecting indoor and outdoor living spaces through the creation of a sizeable aperture. 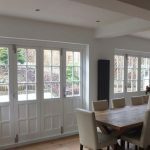 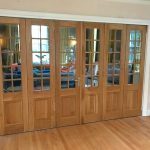 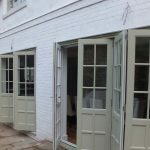 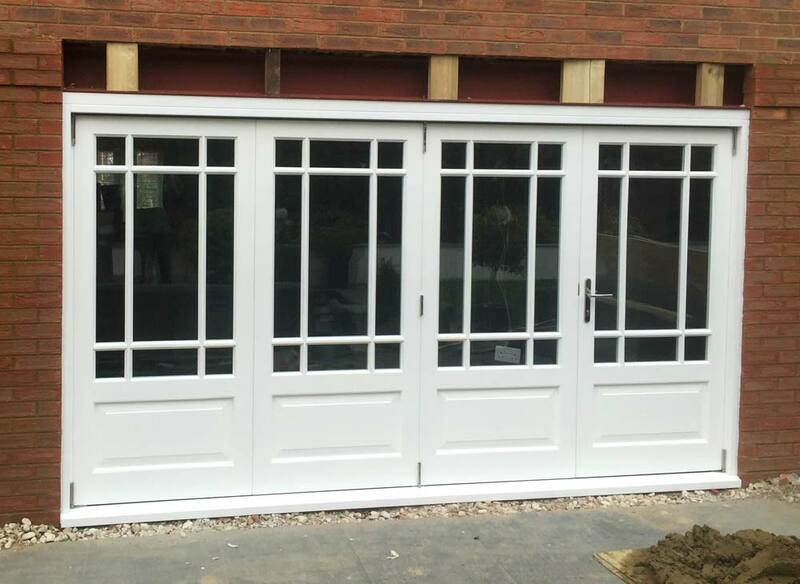 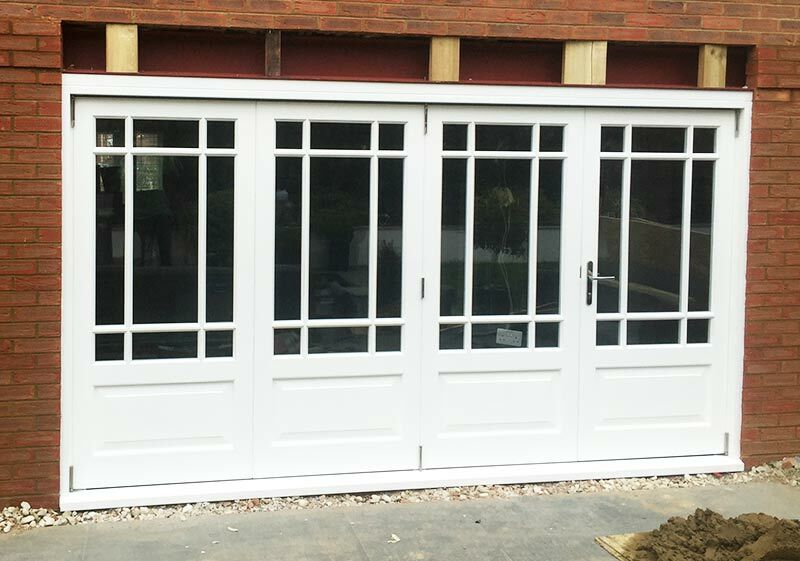 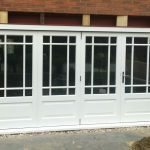 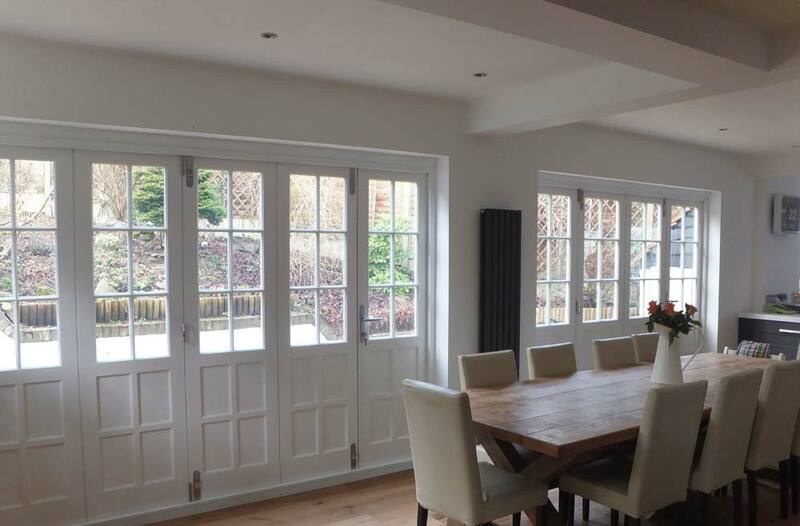 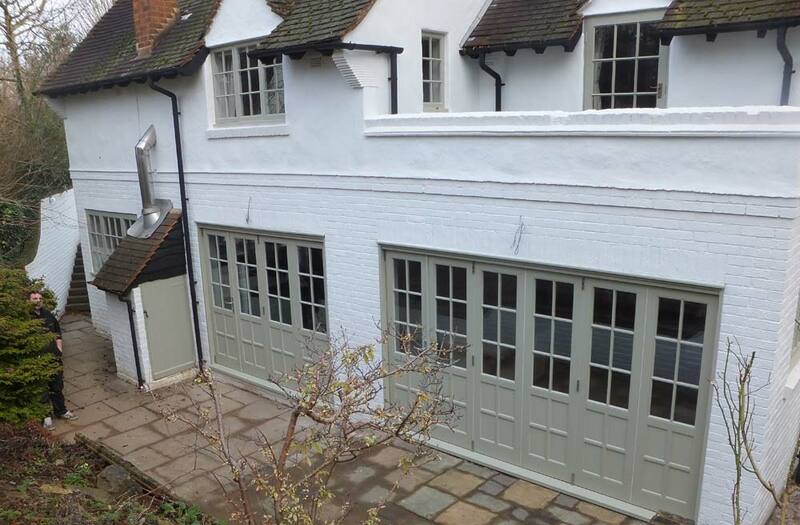 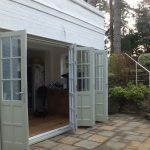 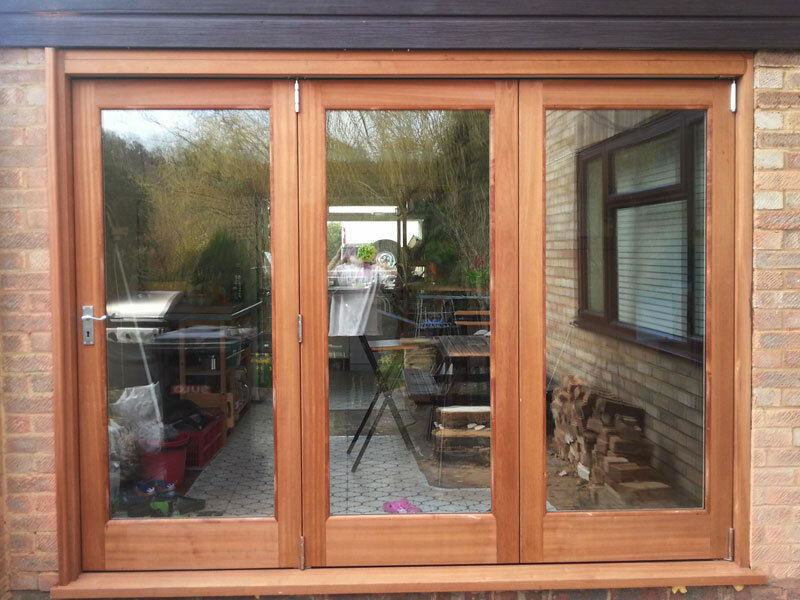 Unlike uPVC or aluminium bi-folds, timber bi-folding doors provide your home with individual character and charm, as they are all handcrafted and can be made to your exact requirements. 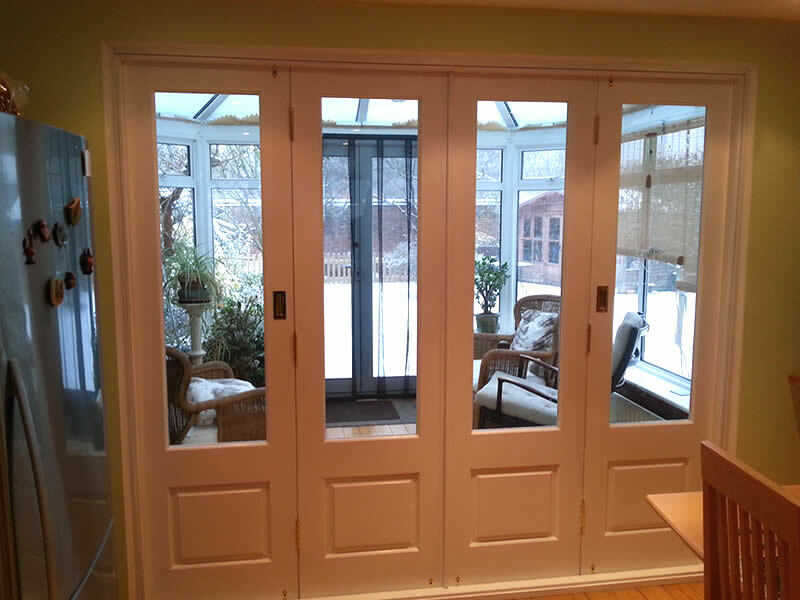 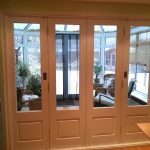 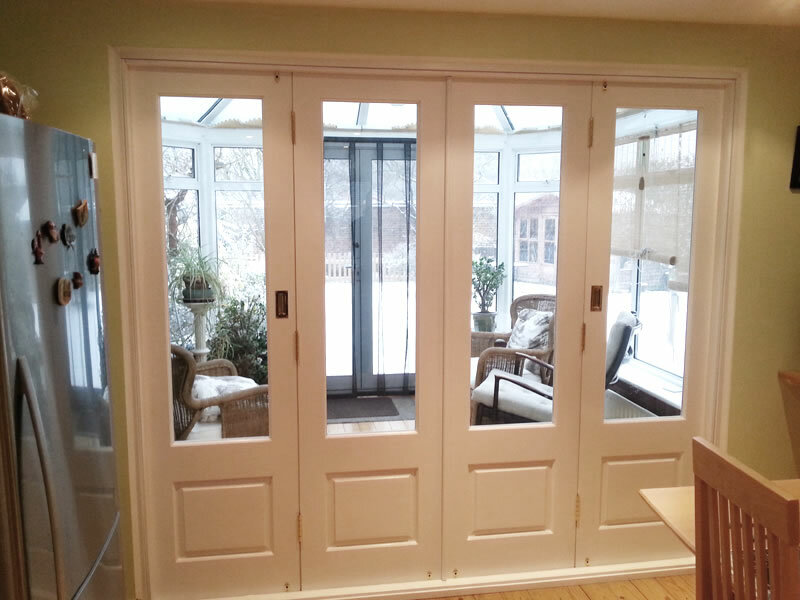 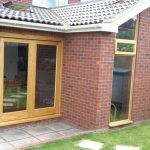 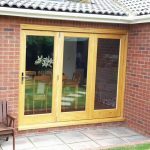 As well as designing and manufacturing high quality timber bi-fold frames, we also supply our timber bi-folds with a number of customisable options, including glazing choices. 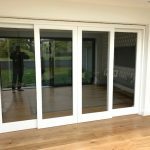 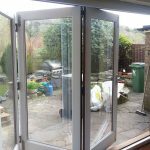 Bi-folds are an excellent all-weather door, offering insulation in the winter, and ease of access to the outside during the summer. 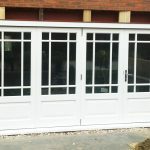 To improve levels of insulation and performance, we can provide a number of glazing choices to enhance this experience – with double glazing to provide excellent levels of thermal and acoustic insulation, as well as textured and coloured glass options to give you control over levels of ambient light and privacy. 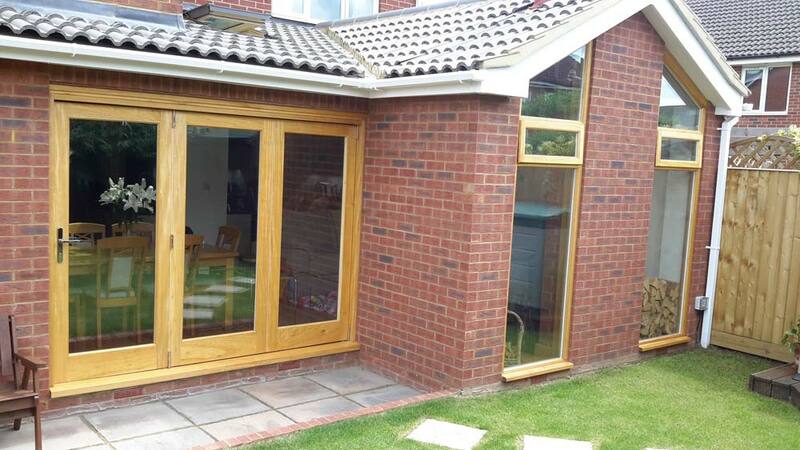 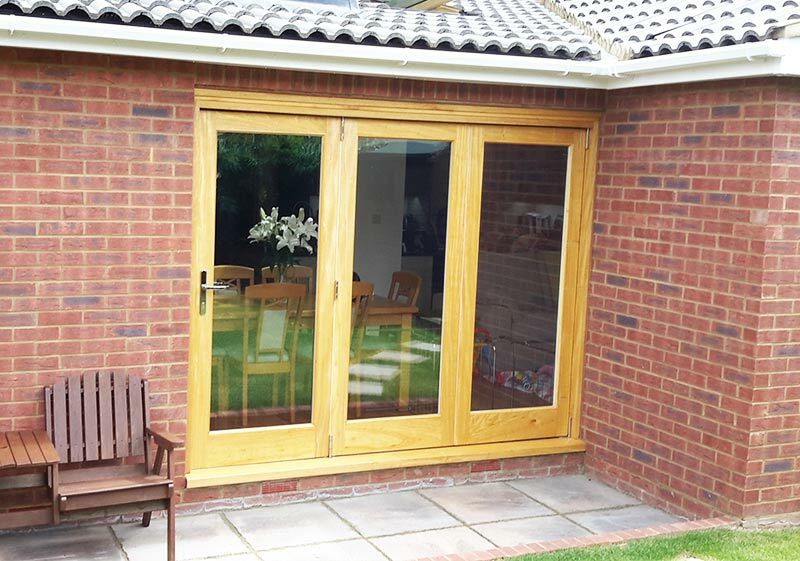 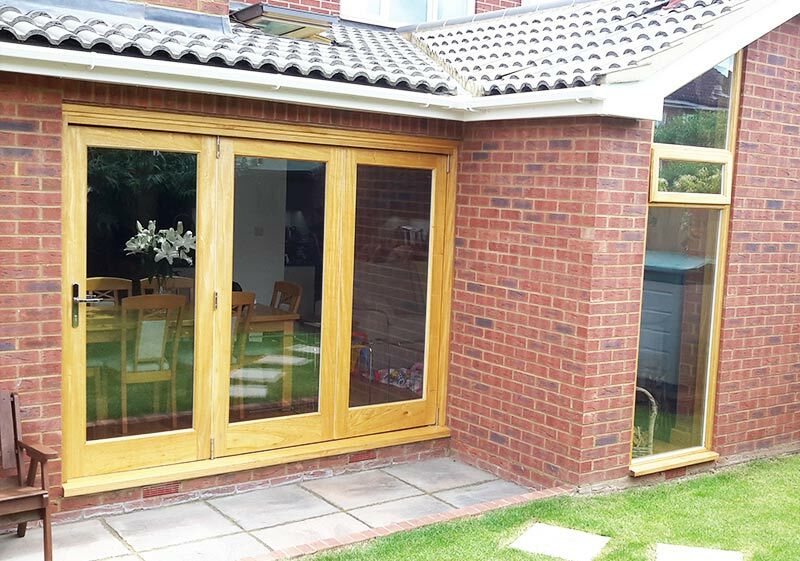 To create timber bi-fold doors to your exact specification, Kirkman’s specialist joiners can offer a wide range of wood types. 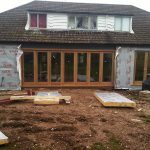 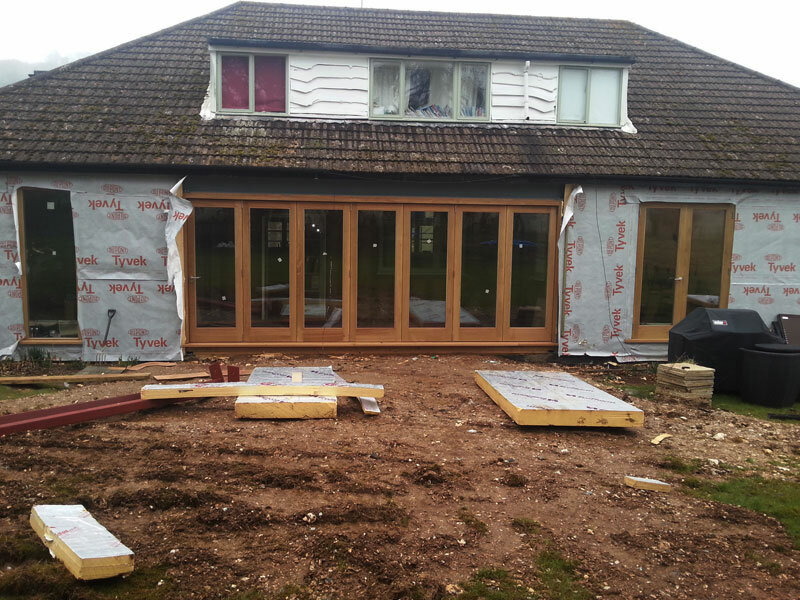 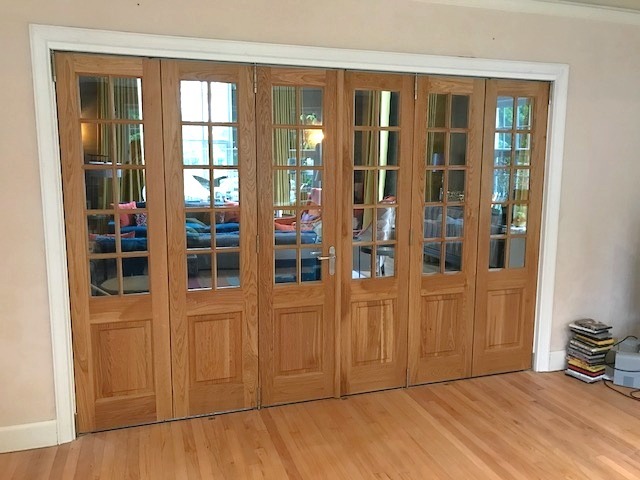 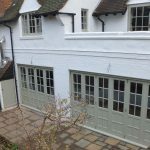 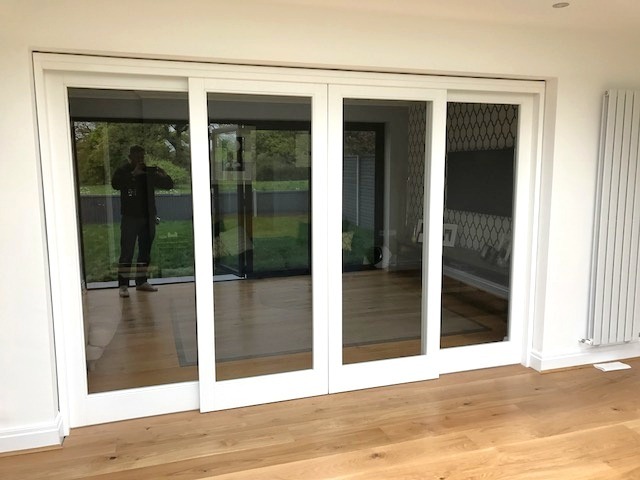 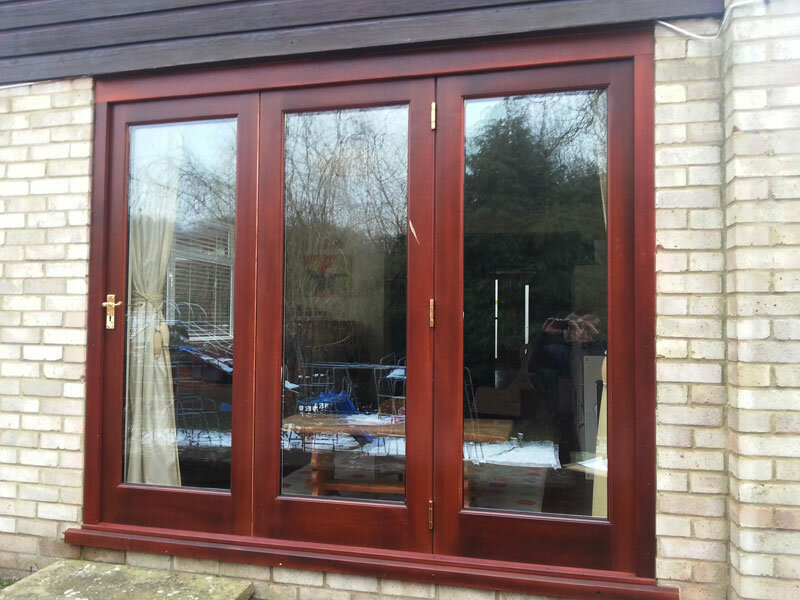 Depending on your aesthetic requirements, we are able to supply your bi-folds in a wide choice of hardwoods, finishes and fine detailing, ensuring that they seamlessly integrate with your property’s existing look, and that they can be made to match already installed windows and doors. 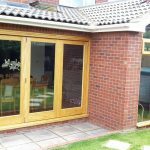 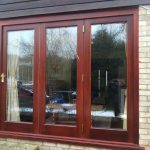 Additionally, our choice of hardwoods allows our customers to create bi-folds which can offer varying levels of durability. 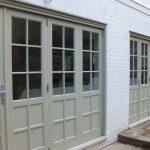 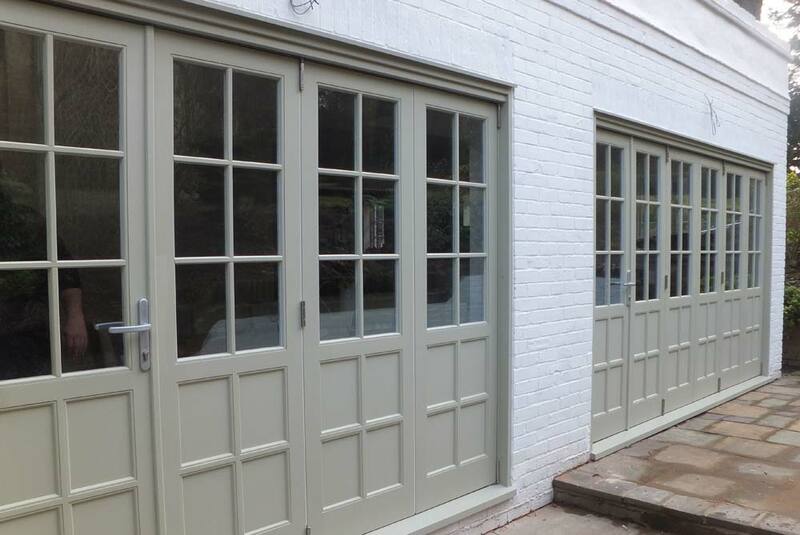 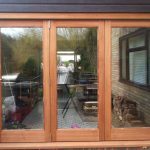 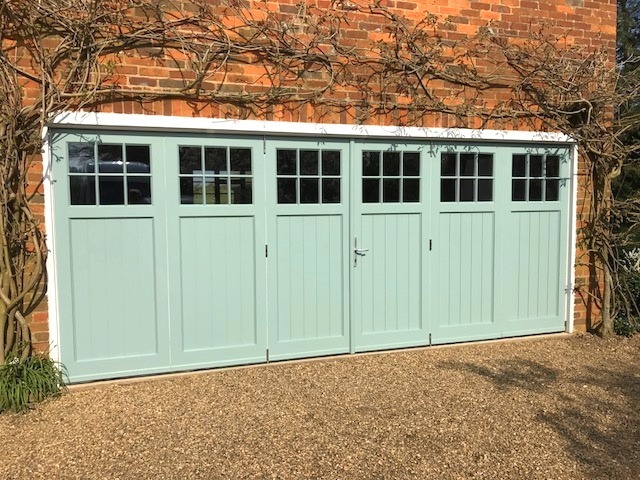 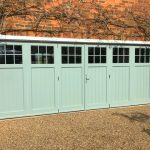 For those looking for highly durable and convenient timber bi-folds, we can even design and manufacture our bi-folds in Accoya wood, which has been proven to last as long as 50 years in exterior use, and requires very little maintenance.